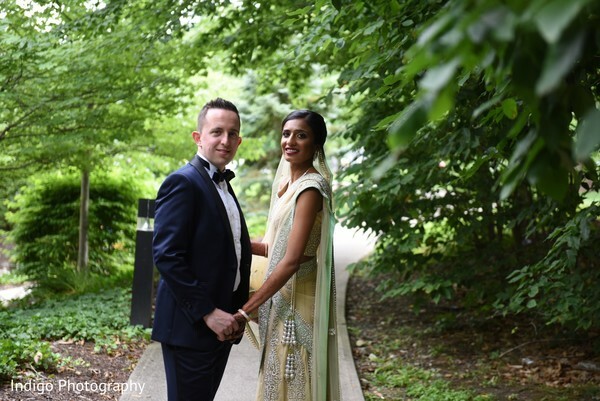 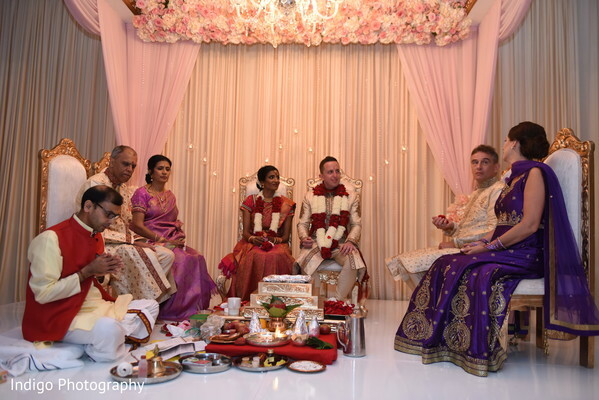 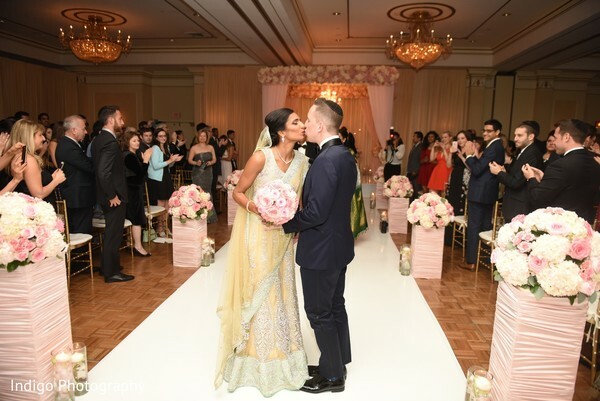 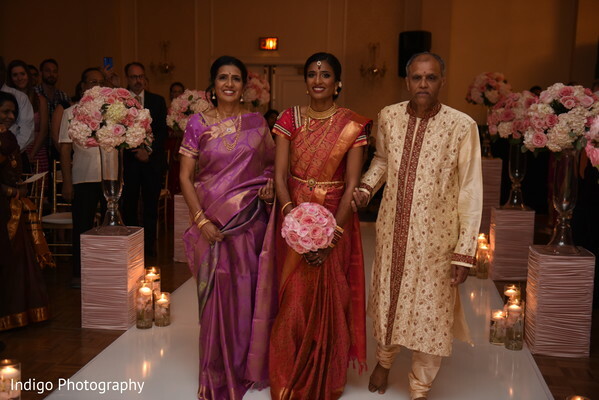 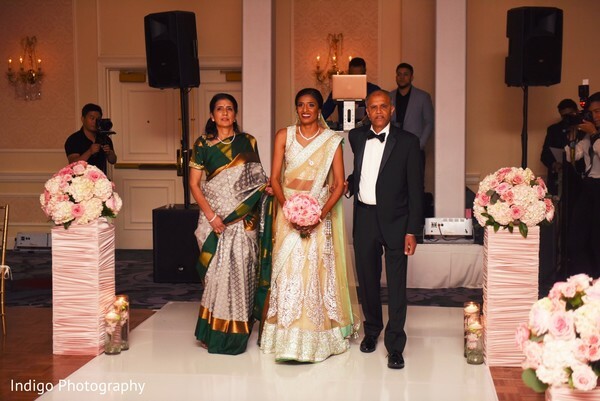 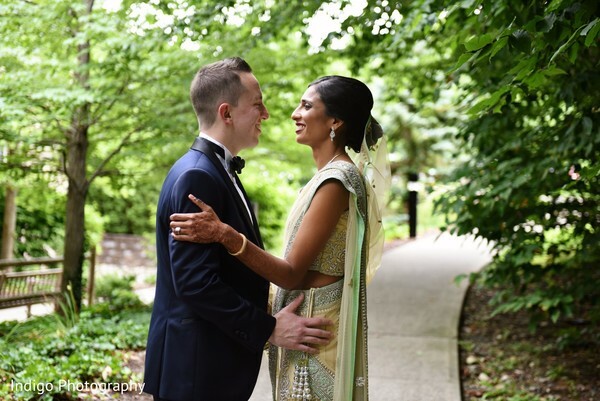 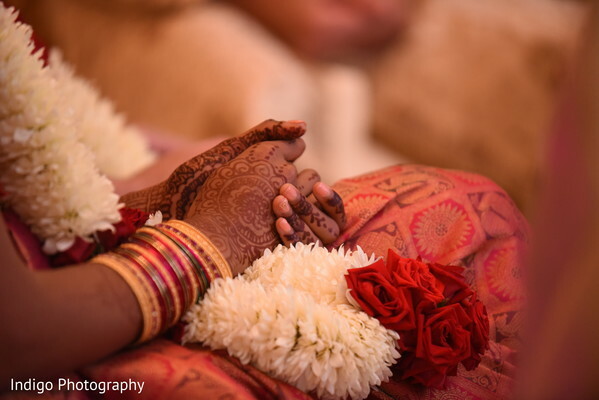 Welcome back to Arthi and Yoni’s multicultural wedding where Touch of Elegance Event Planners ensured that even the smallest details were not overlooked and ensured that both fusion weddings were performed smoothly. 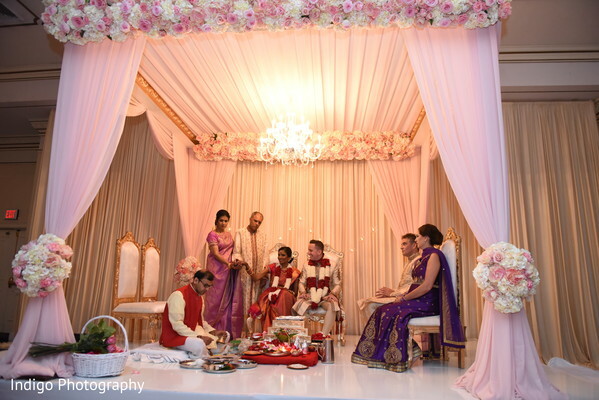 Yoni brought his baraat ceremony in with style; perched upon a regal horse from Equishare Baraat Horses. 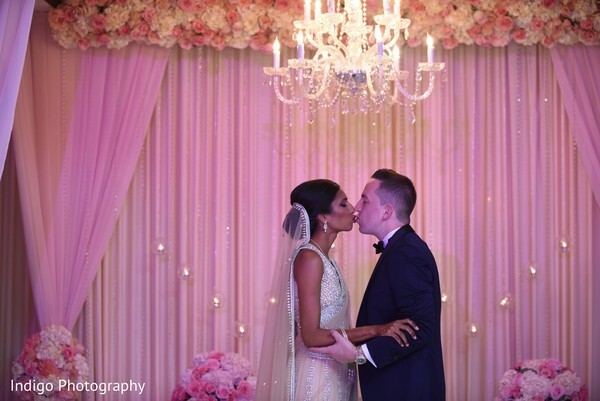 Elegant Affairs Inc. decked out the ballroom in the Hilton Pearl River with a regal and modern touch in mind. 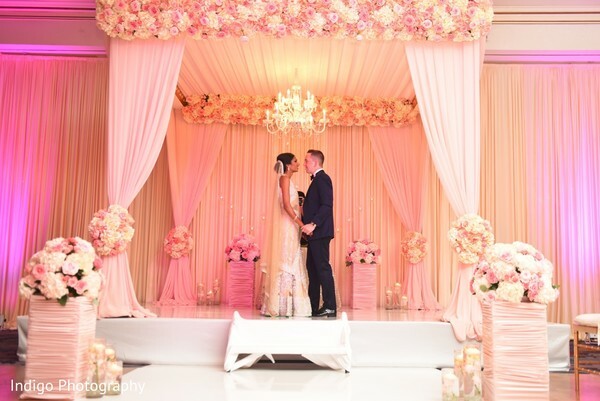 Popular mandaps that we are seeing in 2017 are those that incorporate a shiny chandelier floating in the middle of the structure. 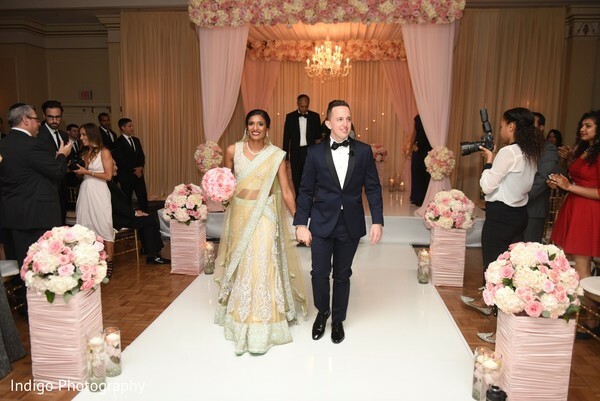 The pathway leading up to the ballroom was aligned with large blooms set in clear vases to give the ultimate romantic atmosphere. 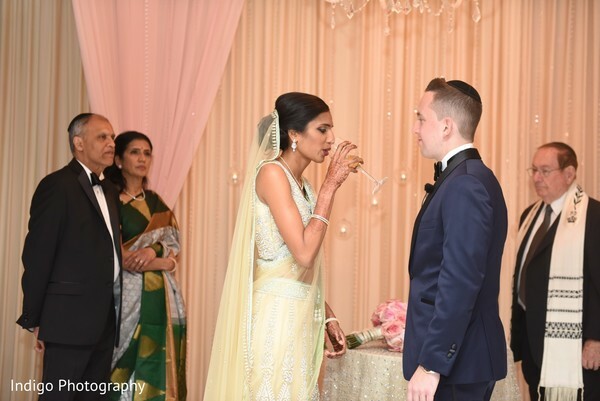 The bride then transformed herself into another Bollywood attire; this time a mint green lehenga reigned supreme for the Jewish ceremony. 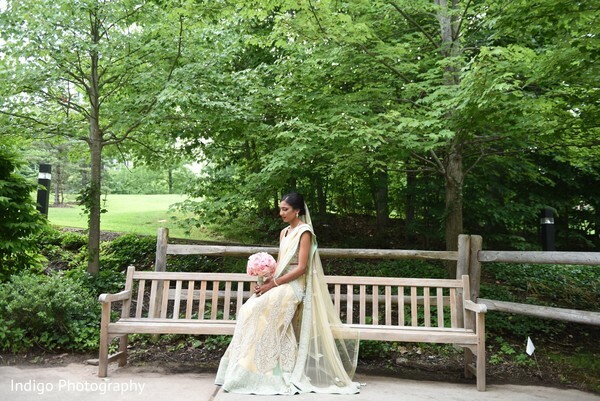 Heena Das Beauty made sure the bride looked picture perfect for her second ceremony by ensuring that not a hair pin or pleat was out of place. 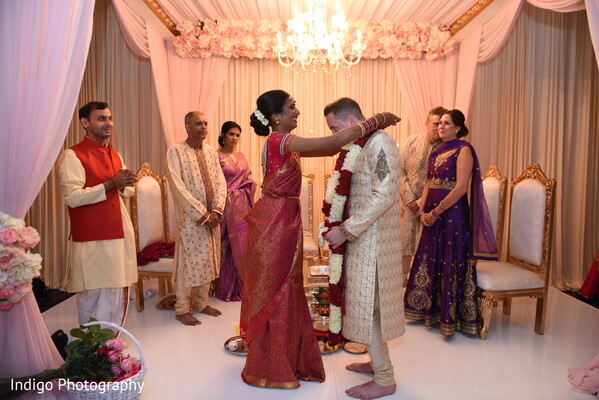 Indigo Photography has captured all the images from this festive and elegant event in the gallery. 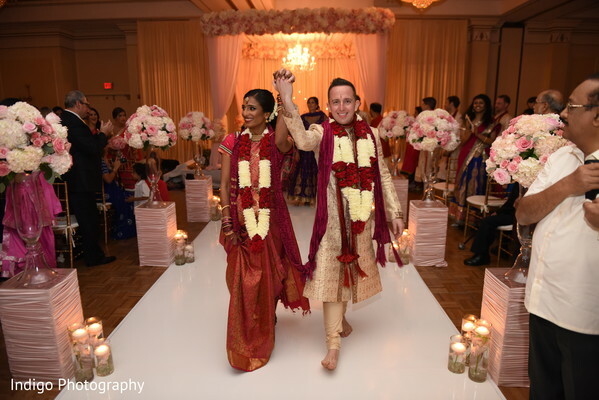 After the successful completion of two gorgeous ceremonies, it is time to rock out! 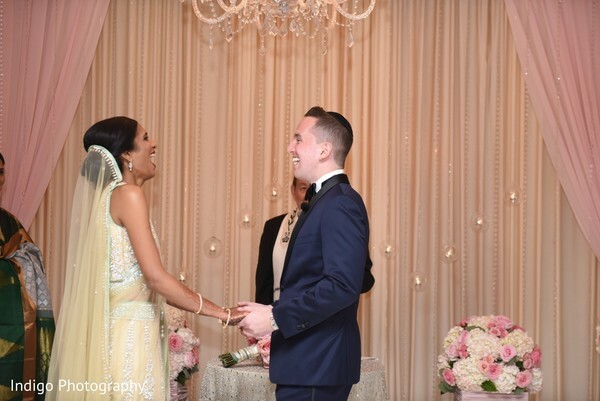 We return with the wedding reception details headed your way!